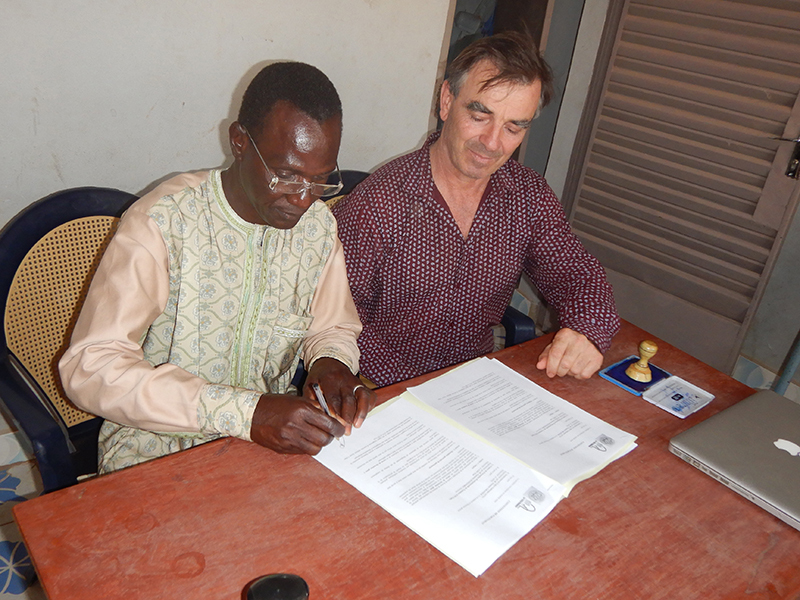 Fousseny Dangnoko, Director of the Centre de Formation Professionnelle of Tominian (San region) and Thomas Granier, co-founder and CEO of AVN signed a partnership agreement in February for the development of a pilot training module in the Nubian Vault technique. This new option for NV artisan masons, including technical and entrepreneurial training both on-site and in the Centre, is a sign of significant progress in the development of the NV sector in Mali and, in the adaptation of the broader construction sector to the social and environmental challenges of the Sahel. Since its opening in 2014, the CFP of Tominian offers many training modules in ten professional sectors: a real asset for young people hoping to get training in the region and gain durable and suitable employment. During its inauguration, the President of Mali Ibrahim Boubacar Keita had underlined the importance for these centres "in promoting courses and qualifications leading to jobs for young local people (…) a daily concern in Mali". … and will thus respond to the expectations of the Government and local populations concerning questions of rural development. Eventually, this partnership aims to see the duplication of this curriculum by other CFPs and professional training organisations in Mali.